Receive this Bonus skin when you purchase Gears of War: Ultimate Edition! Anya Stroud began as a communication officer in the COG army. She was integral to the success of Marcus Fenix and Delta Squad in Gears of War and Gears of War 2 by guiding the team over their comms. 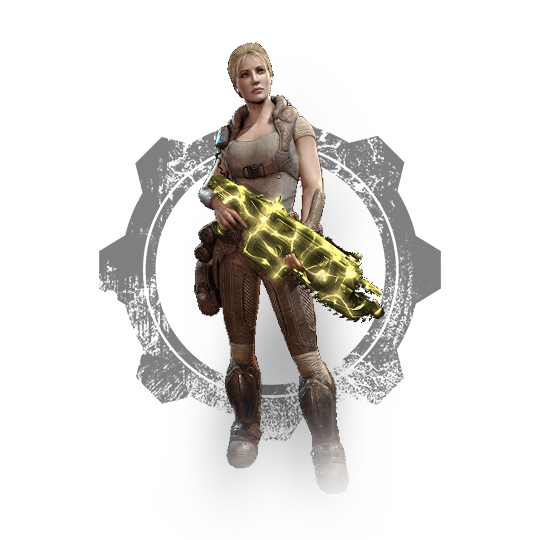 In Gears of War: 3, Anya stepped up to the frontlines to fight alongside other Delta members to save the world from the Locust and a new threat—the Lambent. Fight with style! The Animated Imulsion Weapon Skin gives your Lancer and Gnasher an ominous pulsing yellow effect that may distract your enemies, or send them running in fear. This skin is usable in competitive multiplayer* matches in Gears of War: Ultimate Edition.